This week's Illustration Friday topic was "Hat." I first sketched a bird with an actual hat. Then I thought of the Eurasian hoopoe that I recently drew for a client, and the cool crown/hat that it already has. 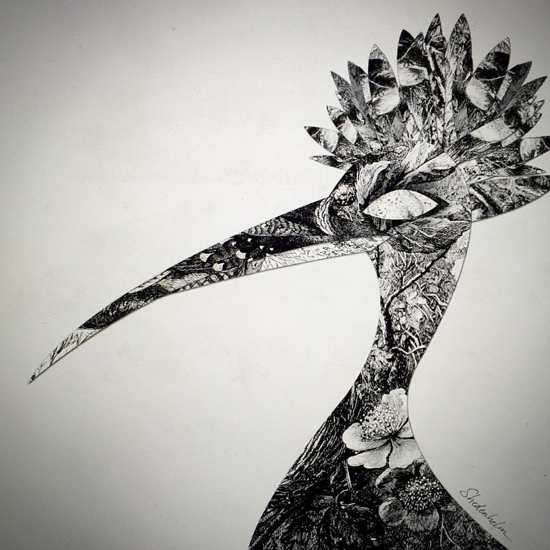 Using the scans of vintage drawings, I assembled this black and white bird with a hoopoe-style headdress. I also added a vignette effect to give it a slightly creepy, noir-esque tone.